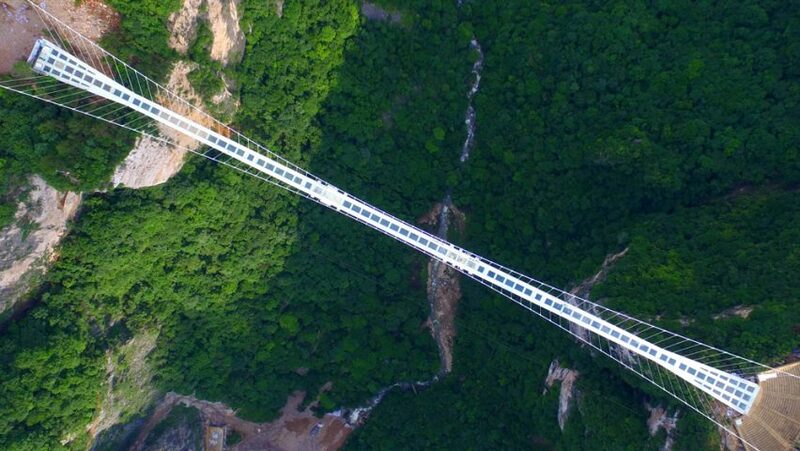 A 430-metre-long glass bridge has been constructed across a deep canyon in China's Zhangjiajie National Forest Park (+ slideshow). 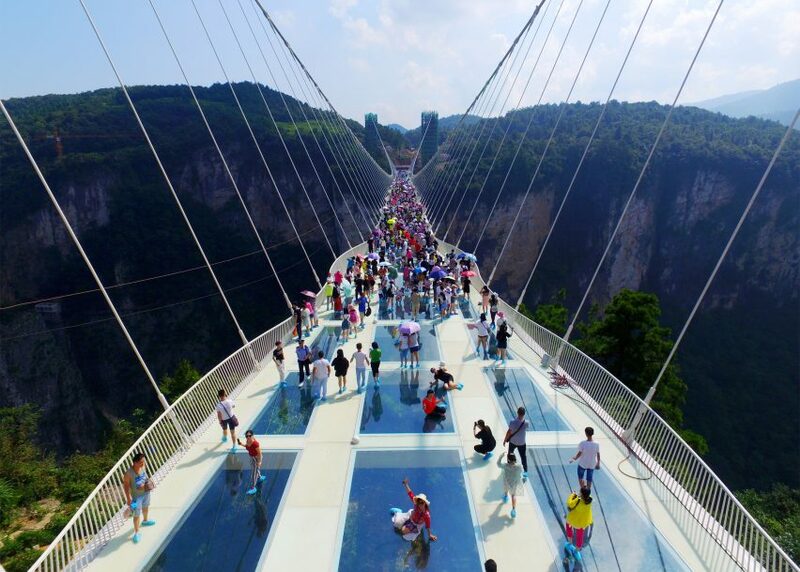 Designed by architect Haim Dotan, the Zhangjiajie Grand Canyon Glass Bridge is believed to be the world's longest and tallest glass pedestrian bridge. Steel beams support the structural glass plates, which Tel Aviv-based Dotan used to make the bridge as "invisible". 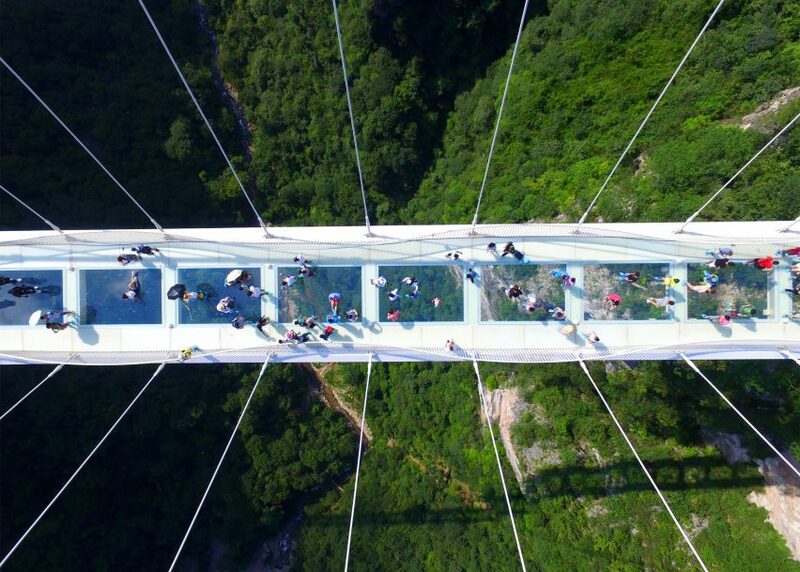 "The Zhangjiajie Glass Bridge was designed to be as invisible as possible – a white bridge disappearing into the clouds," said Dotan. "As the designer of this bridge located in an incredible and magical national park, I believe in nature, harmony, balance and beauty," he added. "Nature is beautiful as is. One wants to make the least impact upon it." 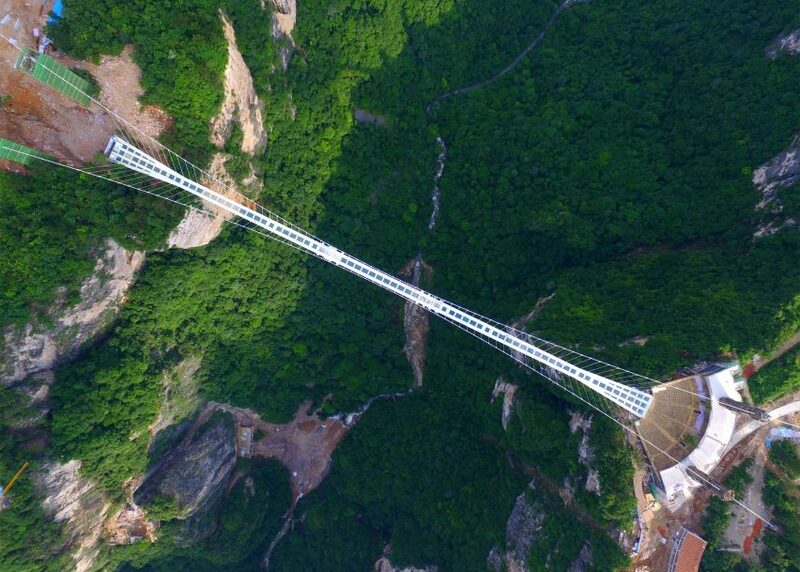 The bridge is capable of holding up to 800 people at any one time and has already been used as the launch point for the world's highest bungee jump, said the architect. "It will create an experience of being in pure nature while suspended in mid-air, between heaven and earth, like a bird with its wings open wide," said the architect. "I called it Bridge of Courageous Hearts." Lately, there have been plans for several glass-bottomed swimming pools – one in London linking two residential towers and another in India's Gujarat state. 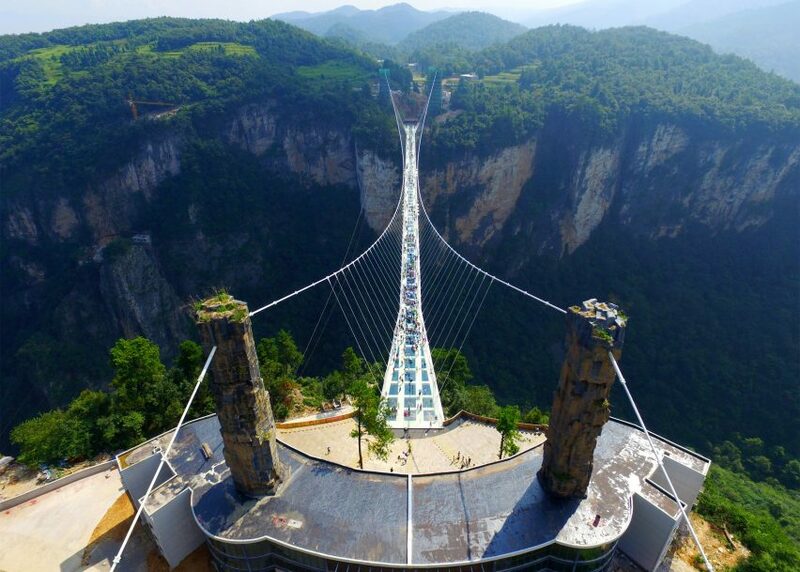 Tickets to access the glass bridge cost £16, in addition to the £13.50 charge to visit the Zhangjiajie Grand Canyon Scenic Area, which is located in China's Hunan Province.